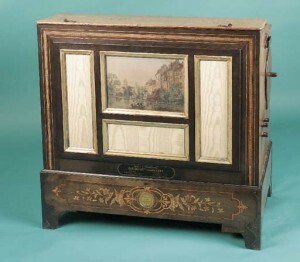 We tune and repair hand-turned street organs by modern makers such as Raffin, Deleika, Hofbauer, Verbeeck and Prinsen. We also carry out full overhauls including re-leathering bellows, giving an ailing organ a new lease of life. Occasionally we have second-hand organs of this type for sale, and can always supply brand new instruments and carts. We can also supply new music rolls for 26 and 31 note organs. 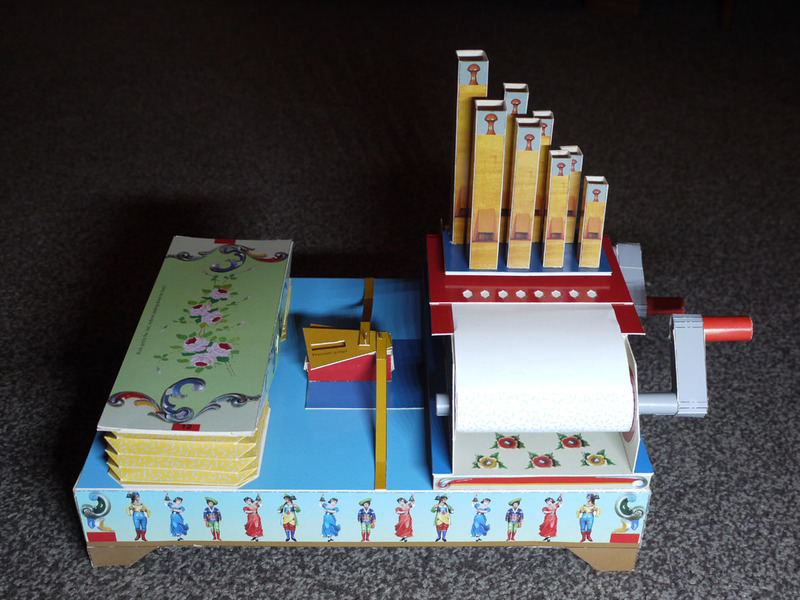 A 26 note paper roll-playing Deleika organ and cart which we overhauled and re-decorated. It now has a new home in San Diego, California, USA. 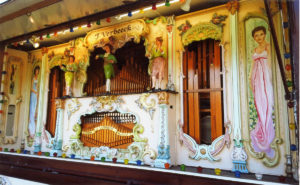 As well as modern roll and book playing organs, we also work on barrel organs. Several Cocchi, Bacigalupo & Graffigna, Frati and Gavioli instruments have passed through our hands, including some Melotons, which are barrel organs in which free reeds produce the sound instead of regular organ pipes. 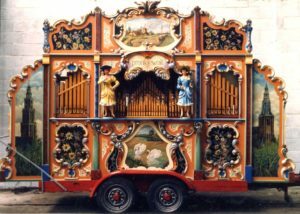 In the United States, we have even tuned a large North Tonawanda Musical Instrument Works barrel organ. Contact us now to book your organ in for tuning and servicing! 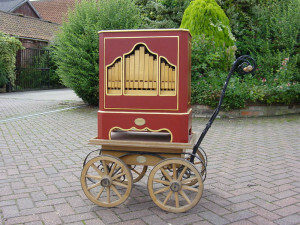 A fine 42 key Gavioli trumpet barrel organ overhauled for a client. The barrel contained some original Gavioli compositions.